I'm ashamed to say how long I've had this waiting for me to read in my kindle since I've downloaded it from netgalley. Let's just say it waited there much too long, because once I started reading this I couldn't stop. I normally have trouble with Romantic Suspense novels, but not this one. I mean what's not to love about Paris, a mysterious secret society and murder? I can't remember the last time I enjoyed a romantic suspense novel so much! There are just so many things that drew me into this book. There was the setting: Paris-while I was reading the book I felt like I was experiencing it with Maya. 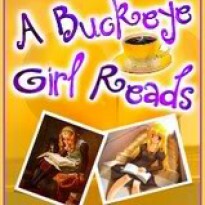 There were so many twists and turns in this book that I never knew who was coming after the heroine next-I loved it. Maya is one tough cookie. She might be down and out in Paris and have someone framing her for murder-but she's not going to let it stop her from clearing her name and maybe, just maybe finding some romance. Speaking of romance, Simon was a really fun character. I loved how he tried to be all controlling and Maya would have none of it-she would listen to his suggestions, but if she didn't like it she would follow her instincts. I loved the banter between Simon and Maya and for me there was just the right amount of romance mixed in with the mystery at hand. This is one of the few inter-racial romances that I've read and it makes me wonder why I haven't read more of them. 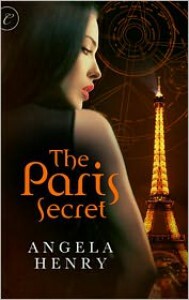 The only real fault I had with The Paris Secret was that I really enjoyed some of the secondary characters that Maya meets on her tour and would have liked to see more of them-they kind of disappeared and reappeared out of nowhere-but I have a feeling that might be how romantic suspense novels flow with secondary characters. Despite that though, this was just a fun read that made me want to read more of this genre!